I lost about 12 kg of body fat. I no longer desire carbs in the same way I used to. 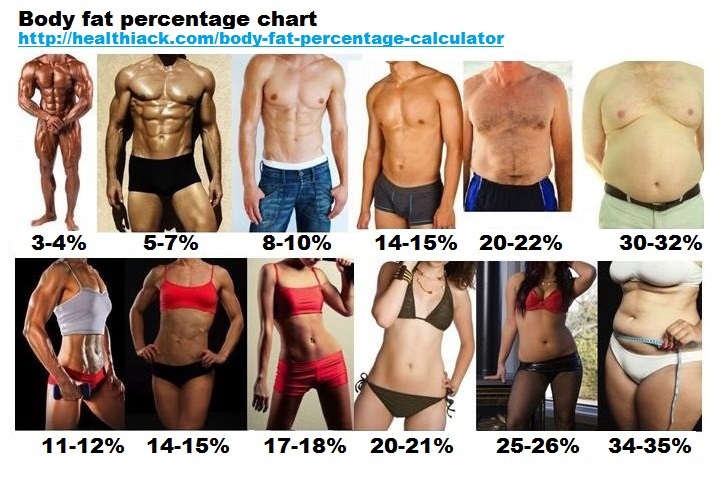 I arrived at 17% body fat. It's still not at the 10% target but a lot better than the 30% fat when I started. Simply that you can succeed even when you fail. If you raise standards you will make progress and finally that perfection or an 'all or nothing' approach is not essential. Progress is infinitely more important than perfection. It's day 37 of my 100 day challenge and the results have been better than I expected. 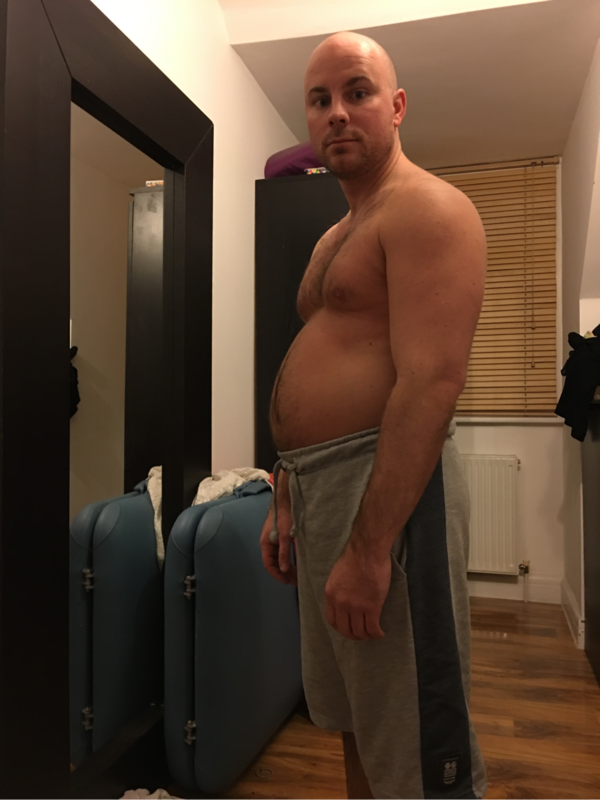 Once I'd used hypnosis and NLP to support my goal of following the challenge, cutting out processed foods, carbs and alcohol my weight and fat loss has been consistent and some would say dramatic. When I started the challenge my body fat was 29.2%. I'm 38 and male so you can see on the chart below that this is on the far right of the chart and the highest number in the red. Yesterday I weighed myself on my Tanita body fat monitor showed me having a body fat percentage of 19.8%. This means that it's lower than the 20.2% threshold of the average body fat putting me on the border of the 'ideal' spectrum in the green. Since my target goal is 10% body fat which is in the lean classification I still have a further 10% body fat to lose but my confidence and focus has never been higher. So far I've lost a third of my entire body fat and half of the body fat I wanted to lose to achieve my goal. Firstly because my goal is to lose fat not to lose weight. Secondly body fat is a better representation of health and fitness than weight as you can weight a lot and still have low body fat due to muscle mass. Muscle weights a lot more than fat so if I just measured weight and I was gaining muscle then it may show no weight loss even though my fat is reducing. 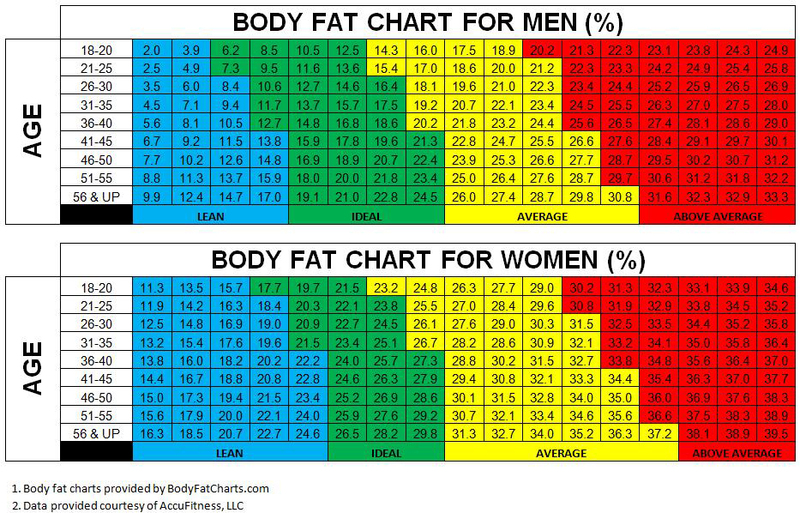 The images below show the different body shapes for different body fat percentages. I'll be putting my before and after photos up soon but my starting shape looked close to the image on the right. At 10% I will have my six pack back and will have a similar phsyique to when I was 21. Still have 63 days to go on my challenge but looking forward to reporting even more fat loss over the next few weeks. I've now been doing my challenge for 31 days and have 69 days left. Firstly, I've lost more than 1 stone in weight. I've reduced my body fat percentage by 25%. I'm sleeping 2 hours less per night on average. My fitness levels have improved and my motivation to exercise or play sport has increased. I've gone from a size 34 waist to a size 30 waist. I've had feedback that I'm looking healthier - better complexion, fitter etc. I've learning even more about the nutritional components and benefits of different foods. My overall target for my 100 day challenge was to get to 10% body-fat. I'm currently at about 22% which means I have another 12% of body fat to achieve my goal. I have had a month now of eating only natural unprocessed foods. This next month I will step things up to another level by increasing my exercise with a big focus on cardio exercise. I am currently going to the gym 3 or 4 times per week so for the next month I will be increasing this to at least 10 x 500 calorie cardio workouts. This means I'll be burning 5,000 calories per week from cardio which will encourage further fat loss since I'm already running at a calorie deficit anyway. I have approximately 10 weeks left which means I need to lose just over 1% of my total body fat each week. This is an achievable goal if I focus on new personal bests in body fat each and every week. I will be using hypnosis and NLP to create cravings and compulsions to exercise. If you currently have cravings for chocolate or crisps and these cravings disapeared but you instead started craving cardio would that help you lose weight. Stay tuned to find out how I get on. So the good news is that it's been almost a month of my weight loss challenge and I've lost 1 stone so far. The bad news, well it's a bank holiday weekend which for me would normally mean a BBQ, cold beer and maybe even an ice cream - Cornetto's and Magnum's being my favourites. 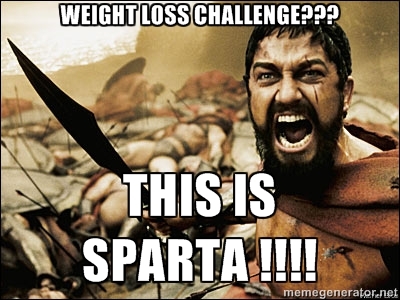 But I take these challenges seriously, some would say a little too seriously, so it's still no processed foods, carbs, alcohol or sugar for me. If I do end up having a BBQ it will be lean meats with no bread and a nice salad and fresh juice to compliment it. I'm about to go to the gym now so it will be steak and salad tonight to ensure my muscles have the protein they need. So it's day 23 of my 100 day challenge and I've very nearly lost 1 stone. My body fat percentage has fallen from 29% to 22% and since I'm still consuming high quality lean proteins such as tuna, salmon, chicken etc my muscle mass and strength has not decreased and in fact I'm able to lift heavier weights in the gym than before I started the challenge. I'm almost a quarter of the way through my challenge and it's enough time to start noticing some significant changes. So what are they? More energy - I'm not feeling tired or lethargic throughout the day. 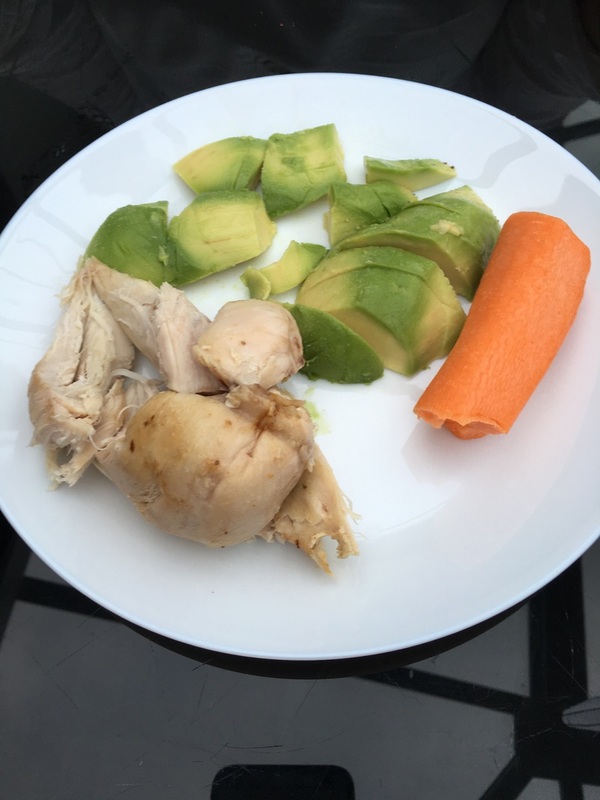 Less appetite - I don't feel like snacking although when I feel hungry there's lot's of different foods I can snack on such as nuts, fruits or I can have a fresh juice. Better sleep - I am less tired during the day but I've been sleeping like a log at night and need less sleep than I did before. 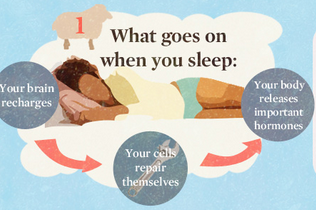 While I would be getting about 8 hours of OK sleep before I am now getting about 6 hours of high quality sleep meaning I wake up feeling refreshed in the morning. More active - despite my calorie consumption going down my activity levels are going up. 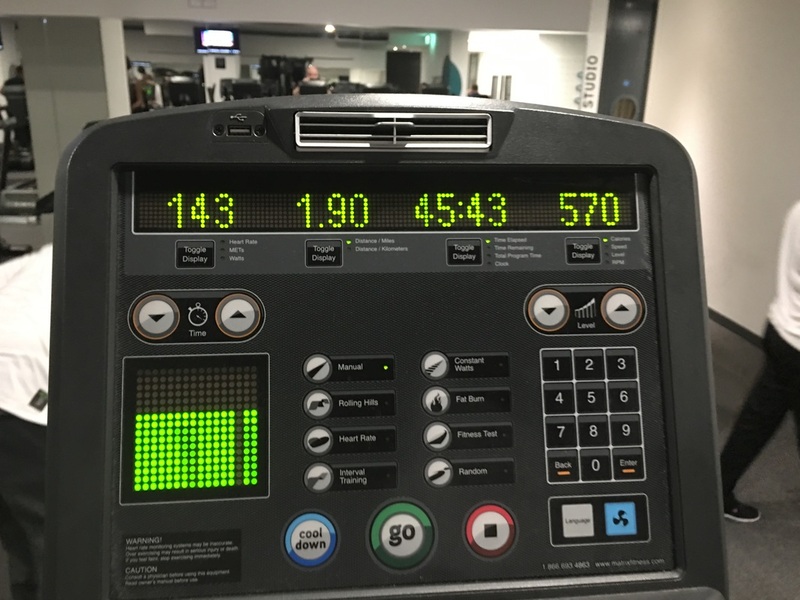 I am going to the gym more for both cardio and weights, going for jogs, playing squash and choosing to walk up escalators or take the stairs than lifts. Food tastes better - because I've eliminated refined sugar from my diet my taste buds have been set free enabling me to really enjoy the taste of the food that I am eating. To give you an idea of how different things are I'm even enjoying the taste of salad and anyone that knows me knows that I never would even touch a salad previously. It's day 18 and I've managed to get through my birthday weekend which was going to be one of the biggest challenges of the 100 days. No alcohol, cake or birthday food. I have eaten out three times during the last few days and in each cash only have meat, vegetables and drank water - no carbs or processed foods at all. The great side effect of this challenge is that food tastes better and since my stomach has shrunk the smaller portions are leaving me feeling full. Last night I had a sirloin steak and salad which left me feeling completely full and satisfied without craving the chips, deserts or wine I would normally have alongside a steak meal. I work up this morning weighing 74kg which is a 5 kg weight loss since this challenge started. This is about 11lbs or only 1.3kg away from losing a stone in less than 20 days. People have started commenting that I am looking leaner and healthier saying that my skin is glowing and without wanting to jinx things it's actually starting to feel easy and that I'm building momentum. Once the mindset is right, losing weight can be really easy. Chocolate cake is on offer but I'd actually prefer to have a green juice made from Avocados, Apples and Lemon. 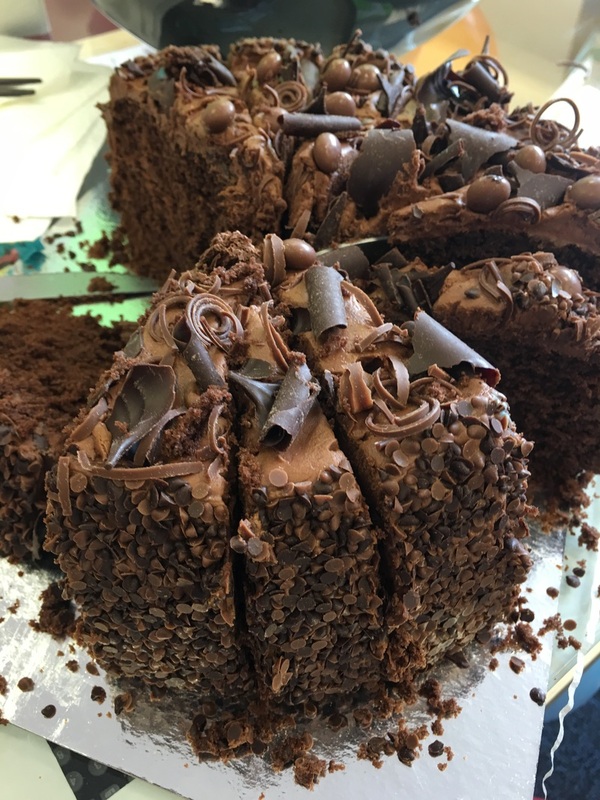 If you crave cake like I used to then this will seem unbelievable, but when you change how you think you no longer have to battle cravings, you simply don't want them. I ended yesterday by going to the gym for a cardio workout. Ended up doing about 500 calories on the cross trainer and now feeling very tired. 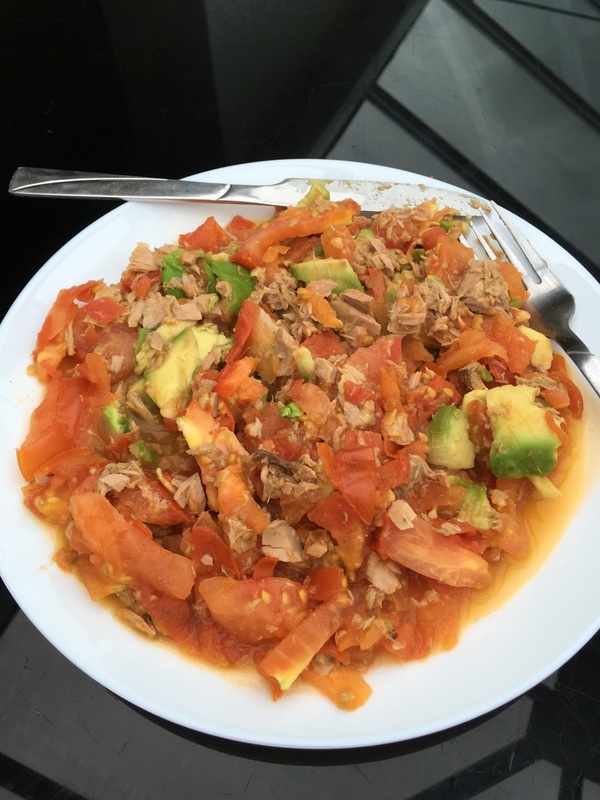 Breakfast today was an avocado and apple smoothie, lunch was a tuna, avocado and tomato stir fry and of course I'm feeling hungry and a little tired. This is the type of feeling that I've been preparing for. Not only i'm I hungry but because I'm only 11 days into the challenge it's too early to notice any significant changes yet and this is the kind of time that many people will give up on their challenge and binge on whatever their cravings are. With hypnosis though my hunger is perceived to be a signal that my body is feeding on body fat as I'm running at a calorie deficit, therefore right now I'm succeeding. Also, for my stomach to shrink it needs to get used to smaller quantities of food. It's this hunger than means I will feel less hungry in the future. What does this mean? To develop a sense of control you need temptation. To feel determined you need to feel that progress is slow. To reduce my bodyfat I need to change my bodyfat. The overall message is stay the course. I have more temptations to come this weekend but I'll be reinforcing my NLP techniques so that I can see the food or drink and not feel a compulsion to eat it. And when I get through this weekend and Monday which is my birthday then my next biggest challenge will be an upcoming holiday to Italy and Italian food is my Achilles heel. Day 10 - and Ketosis is kicking in! Yes its been 10 whole days of no carbs, alcohol, caffeine, processed foods and many others. All i'm eating is fresh fruit and veg, nuts and lean protein like salmon, chicken etc. An interesting thing happens to your body when you stop eating carbs and it's called Ketosis. There's a video below explaining but essentially your body is used to converting fuel into energy and it does the most efficient fuel first. Sugars and carbs are basically energy so the body is used to relying on this source of energy. When you don't have sugar and carbs your body then has to seek an alternative fuel source and fat is also raw energy. I won't bore you with the science but when you're in ketosis you don't feel as hungry, don't have cravings and your body is in a state where it's burning fat for fuel. This is handy if you want to lose body fat rather than lose weight by losing muscle or water. Alongside 10 days of only eating fresh non processed foods I'm also boosting the cardio. Below are a couple of photos and you can see I'm certainly not eating small portions. What does this mean for fat loss and weight loss? Well currently I'm 76kg which is a 2kg or 4lb loss and my body fat has gone down from 28.5% body fat to about 24%. Still a long way to go but it's only 10% of the challenge accomplished so far! It's the beginning of day four and for breakfast I've had a banana, blueberry and chia seed smoothie. 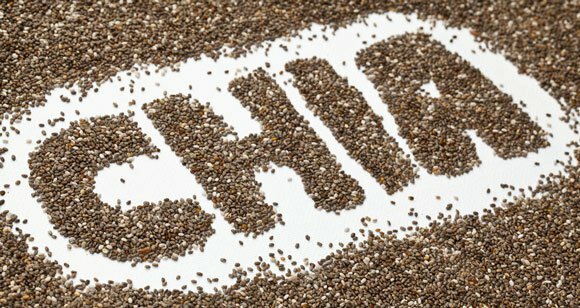 What are chia seeds? They are highly nutritious seeds that are also high in protein. https://en.wikipedia.org/wiki/Salvia_hispanica. For the last 3 days and the next 97 days I wont be having any processed food and will be mainly having high water content foods such as fruits and vegetables so its useful to get protein from as many plant sources as possible. So what I am currently cutting out that I would normally have lots of? Tea (with milk and sugar) I have the largest mug possible so I've massively reduced my caffeine and sugar intake. Carbs - my carb of choice is rice but I won't be eating carbs outside of the carbs that narutally exist in fruit and veg. Beer - I'm not a massive drinker but I wont be having any beer during my 100 day challenge. Jaffa Cakes - everyone has their strange cravings and for me it's Jaffa Cakes. But none of these will be on the cards for the 100 days. 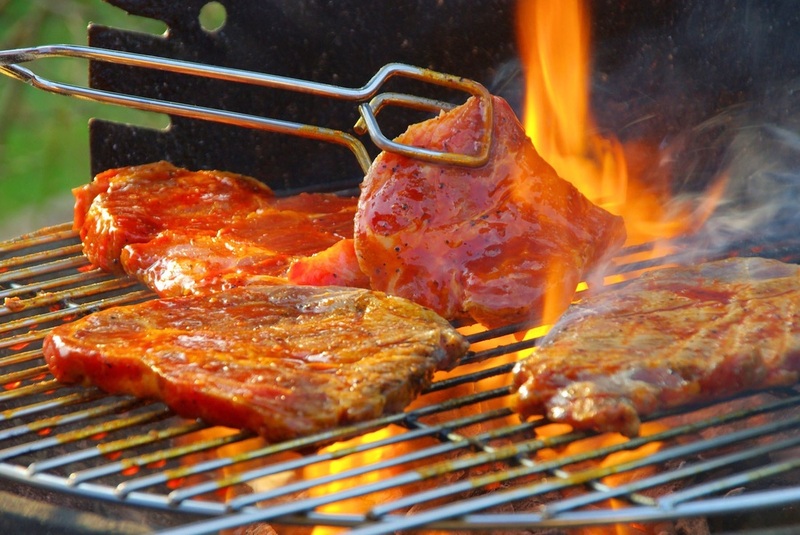 Eating out - My choices of food for eating out are steak, chicken, Chinese and Italian. These will all be taking a break during the 100 day challenge. It's my birthday during the 100 day challenge so I may go out for one meal during the 100 days but if I do it will only be natural food, no processed foods and I won't be having carbs - so probably just a steak or chicken and salad. Deserts - deserts are normally full of fat and sugar which is essentially empty calories. These will be on holiday for the next 97 days. Salt - I normally have a bit of salt on my foods which although doesn't contain any calories aren't the best for health. 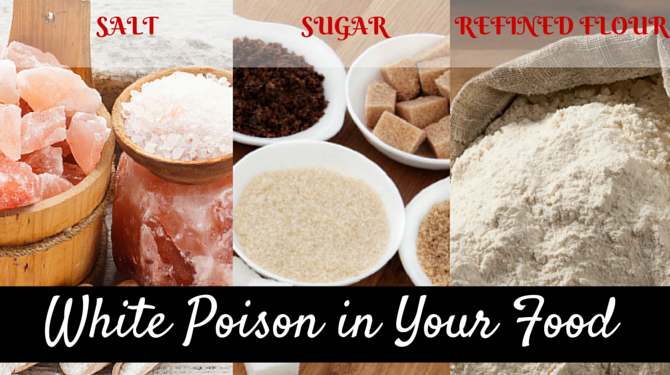 Salt, Sugar and Flour are known as the three white poisons and all three will be off the menu for the period of the challenge. 2 days ago on the 2nd of May I started my 100 day challenge. My starting weight is 78kg and body fat percentage is 27.8%. My goal is to arrive at 10% body fat within 100 days. Based on my current weight and body fat percentage it means that I have about 14kg of excess body fat. Since each kilo of fat contains about 7,700 calories it means that I am currently storing about 102,000 calories of excess energy. This makes the maths really simple as it means that I need to have a calorie deficit of 1,000 calories a day to cause my body to use the excess fuel from my stored body fat. So whats the approach. 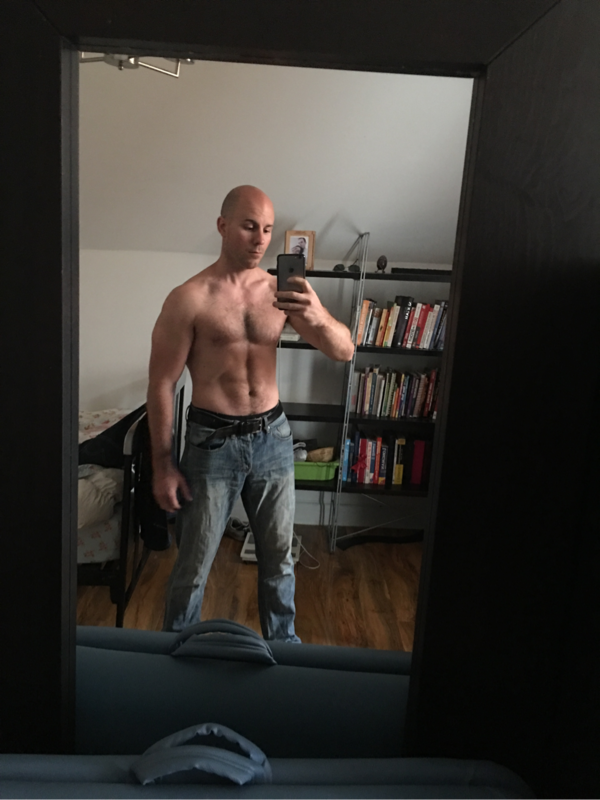 Of course I'll be using hypnosis and NLP to ensure that my mind is aligned with my goal of getting to 10% body fat but I also need a strategy to make the goal a reality. So the approach? 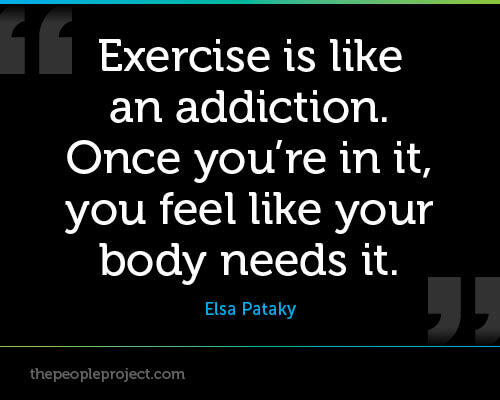 Good nutrition and exercise of course! 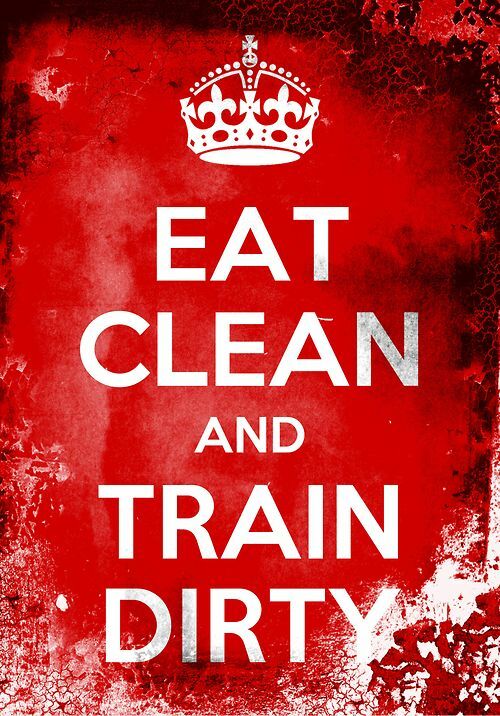 For the next 100 days I'll be clean eating with lot's of fresh fruit and vegetables and no processed food at all. 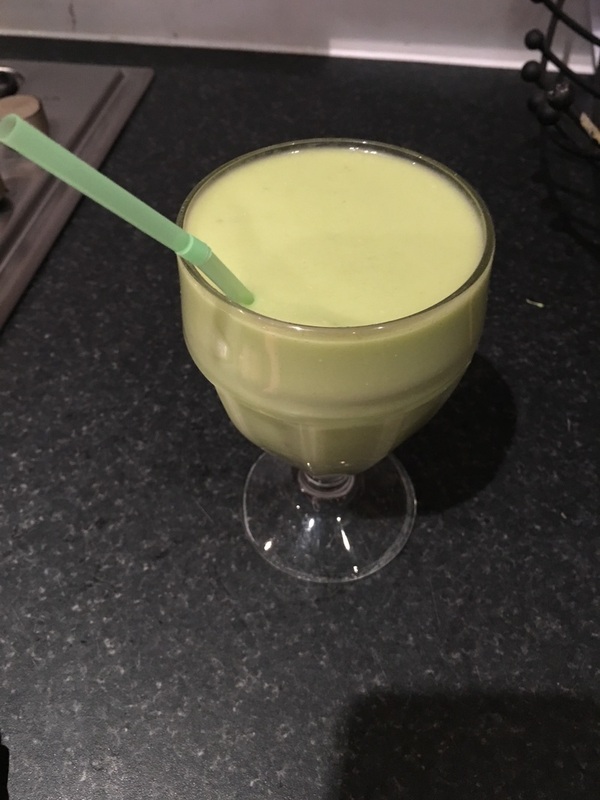 I will ensure that most of my diet is high water content foods and I'll be having lots of fresh juices and smoothies to maximise my nutrition intake. Food wise I will be greedy for nutrition trying to get the most nutrition I can in the lowest number of calories. In terms of exercise I'll be laying off the weights and focussing on cardio. My aim is going to be to do 1,000 calories of cardio exercise a day alongside this clean eating. I'll be keeping you posted.